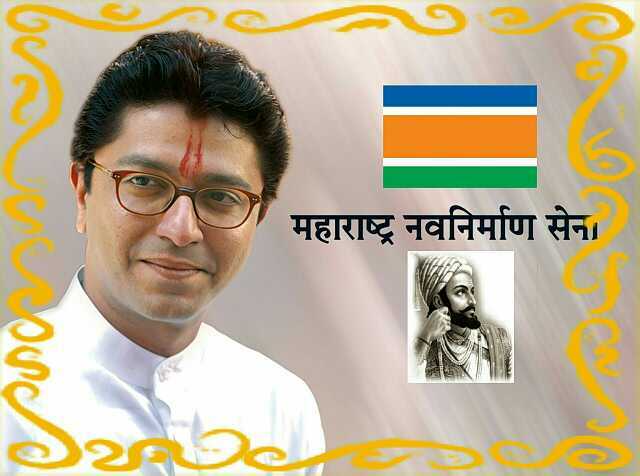 Raj Thackeray is the founder and president of new political party Maharashtra Navnirman Sena, for marathi manoos a regional party in the state of Maharashtra in India. Raj Thackeray is the nephew of Shiv Sena chief Bal Thackeray, and cousin of current ShivSena chief Uddhav Thackeray. He was born June 14, 1968 in a Marathi family to Shrikant Thackeray and Prabhodankar Kundaji Thackeray, Raj Thackeray father Shrikant Thackeray was the younger brother of Shiv Sena Suprem Balasaheb Thackeray and his mother Kunda Thackeray is the younger sister of the wife Meenaji Thackeray Balasaheb Thackeray.Shrikant Thackeray was a musician, famous cartoonist. He is married to Sharmila, daughter of famous theater / cinema Marathi actor, producer and director Mohan Wagh. He studied at Bal Vidya Mandir School Mohan in central Mumbai suburb of Dadar, close to his residence in Shivaji Park and graduated from the prestigious Sir JJ College of Art later. Like his father and his uncle that he is a gifted painter and draftsman. He also expressed his desire to work for Walt Disney Studios. He is also an avid photographer as his cousin Uddhav Thackeray. He has also published a photo-biography on his uncle titled 'Bal Keshav Thackeray' - a photo-biography.He began his political career with his uncle Bal Thackeray's Shiv Sena party in Maharashtra. On March 9, 2006, he formed the Maharashtra Navnirman Sena (MNS) after being allegedly "rejected" by the Bal Thackerays son Uddhav. Shiv Sainiks (Shiv Sena members) who supported his leadership, unlike his cousin Uddhav (Bal Thackeray's son), joined the MNS. The party was founded on the ideology to be the benefactor of the local Marathi population (Marathi manoos), an ideology that party members felt the Shiv Sena had given up. This is very similar to the tactics applied by Shiv Sena for political mileage in its infancy, although the main target at the time were South Indians living in Maharashtra. During his days Shiv Sena Raj openly criticized new urban developments on various mounds of Pune for the environment. In 2003, he planted 76 lakh trees across Maharashtra. Rural development in Maharashtra to create the industrial and rural development in Maharashtra, June 14, 1996.He also "ready self-employment for the unemployed" Marathi youth. In the same year, he arranged a concert of Michael Jackson for the first time in India at Andheri Sports Complex in Mumbai. The aim of the concert was to raise funds for organisation.There are 4 family members Thackeray.Wife Raj, a son and a daughter Amit Thackeray name Urvashi Thackeray.